First place the morels in flour bag #1 and shake to cover completely. 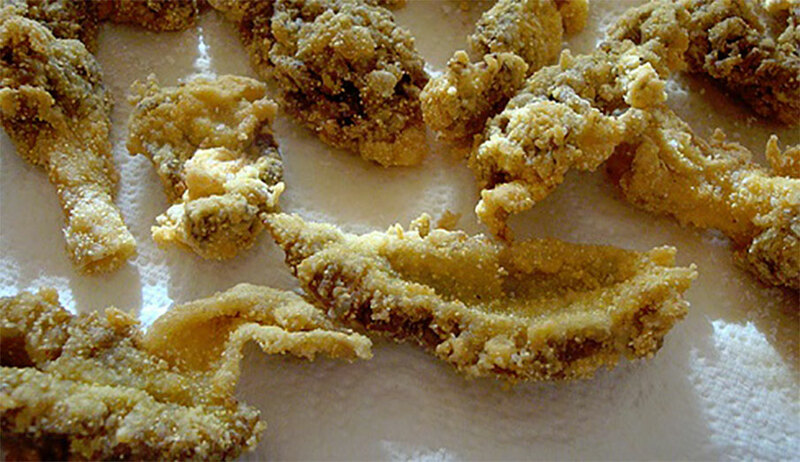 Dip these morels in the egg wash and shake in flour bag #2. Place on a piece of foil and let dry for 15 minutes so the coating doesn't fall off.